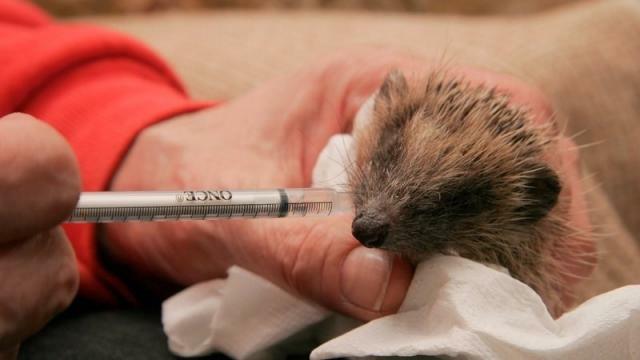 Home » Angarrack » Local Area Information » Nature » Hedgehog facts & info » 190204 | Hugh Warwick shared an update on Help save Britain’s hedgehogs with 'hedgehog highways'! Sunday lunch tomorrow is roast pork or roast beef! 4.95 per person. Submitted by via Hugh Warwic... on Mon, 04/02/2019 - 17:41. Petition update Help save Britain’s hedgehogs with ‘hedgehog highways’! But how did this already quite congested date land up with hedgehogs as well - because it is already Imbolc, Brigid's Day, Candlemas .... and Dachstag. The Pagan celebrations are based around that day being the mid-point between the Winter Solstice and the Spring Equinox. It is around this time that the snowdrops are braving the weather and beginning to nod in the weak sunshine. So there are hints of Spring in the air (if you are of an optimistic disposition that is). And often special Christian days were woven into the pre-existing Pagan calendar. Christmas and the Winter Solstice, Easter and the Spring Equinox. But Hedgehog Day? Well this is the result of a little creative thinking ... by the pet-hedgehog keepers of North America (that is a story I wrote about in A Prickly Affair ... a really eccentric time to be had with this loveable gang!). And has a lot to do with a chubby rodent, called a Groundhog ... and many of you will be aware of Groundhog Day - though probably most of us first came across it with the wonderful film of that name. The Pennsylvania Dutch were first recorded using the Groundhog to predict the weather in 1840 - if a shadow was seen then there was another six weeks of winter on the way. No shadow meant an early Spring. As there are no Groundhogs in Europe, the story has evolved that it is a variation on the Hedgehog - and that Ancient Romans used the Hedgehog for weather divination - and as the Romans spread through Europe they took this with them - seeding the idea with the people who eventually ended up in Pennsylvania. Unfortunately this is not true! But - Dachstag ... Badger Day ... is true (in that any of these stories are actually 'true') and is a very old German tradition. If a badger sees its shadow on 2nd February there will be another month of winter. Now - back to the petition - numbers creep up, which is great. Will we get to 500,000? That is very much up to you all sharing and sharing and sharing ... And I am beset by another problem ... both people who I have directed this petition towards are deeply embedded in the process of polishing the dropping that is Brexit ... which means they are a little busy ... which means we might have to make some noise (NOT YET ... just get ready!) to be heard above the rumble of discontent. tags for 190204 | Hugh Warwick shared an update on Help save Britain’s hedgehogs with 'hedgehog highways'!